We are offering Campaign Tent to our client and our product is made of good quality. Established in the year 2006, we "Bhagwati Suppliers" is engaged in manufacturing, supplying, Trading & exporting a comprehensive range of Tents and Shamianas. 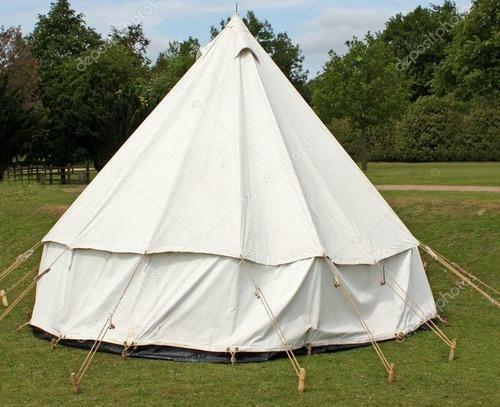 Our offered range includes Pavilion Tent, Swiss Cottage Tent, Umbrella Tent & many more. The offered products are manufactured using high grade basic material and advanced technology. These products are widely acclaimed by the customers due to their durability, reliability, attractive designs, color fastness, easy assembling or installation, lightweight and higher visibility. We make use of latest & advanced machines & equipment to fabricate these products in conformity with the international quality standards. The raw material that is used to fabricate these products is procured from the most reliable and certified vendors of the industry globally accepted technology at our state-of-the-art manufacturing unit under the supervision of highly skilled and experienced professionals. In order to meet the exact needs of our clients in the best possible manner, we can customize these tents as per the exact details provided by them. Our range of tents is widely appreciated by the clients for its weather & water resistance, high tear intensiveness, and easy installation & dismantlement.